Stroll through rustic alleys packed with 250 Vendors selling a variety of produce ranging from Niagara Peaches to Deli Meats, Home Baking, Crafts and an assortment of other goods. We are located 10 miles South West of Owen Sound. 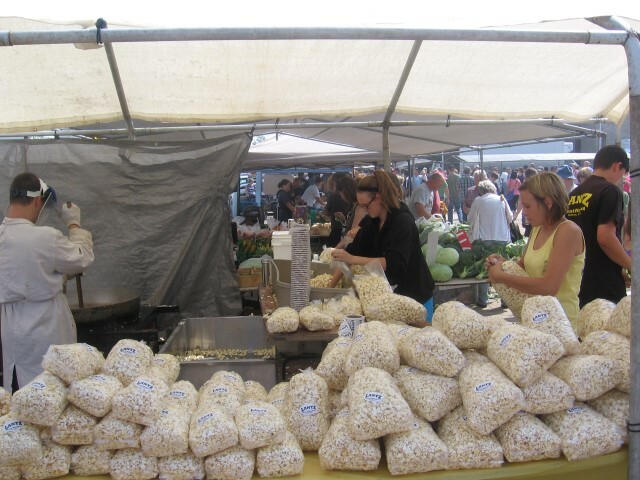 The Market runs every Tuesday from 7 AM to 2 PM. While you are here, consider checking out the three livestock auctions beginning at 9 AM. * NOTE to Vendors: Lot fees are collected at the entrances upon your arrival. Please be prepared to pay when arriving to assist us in expediting your entry process on Tuesday morning. We encourage all who are interested in a Vendor lot to pay and reserve your lots ahead of time (mail in a cheque with your Vendors Agreement and lot choices). For more Vendor information do not hesitate to call the Keady Vendor Market Manager (Sharon Wardrop) at 519-477-0142 or send an email to the following address. "Vendor Agreement for 2019 Available for Download Here"
Keady Market is outside and at the mercy of the weather. If conditions permit, there will be plenty of vendors. The Farmer's Market 2019 season will be between Tuesday, May 14, 2019 to Tuesday, October 15, 2019. Note: Keady Outside Market is open every Tuesday from 7 AM to 2 PM as normal. The market continues to be open past the Thanksgiving Day holiday. 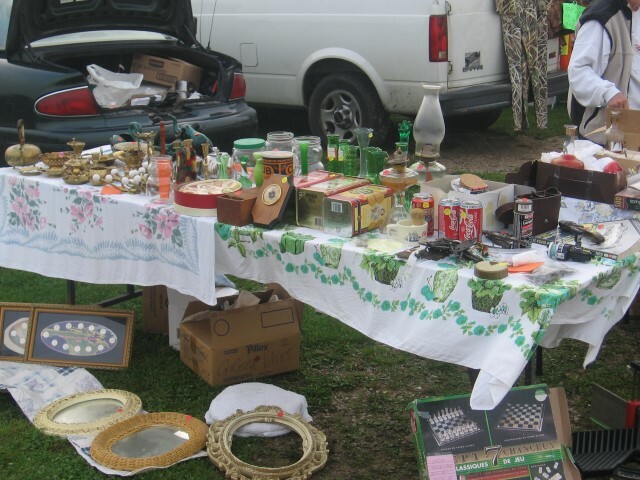 The last day of the Vendors "discounted lot rental season" is October 15th this year. Please know that this is not a closing date for the market. Several of our vendors set up well into November (weather permitting). 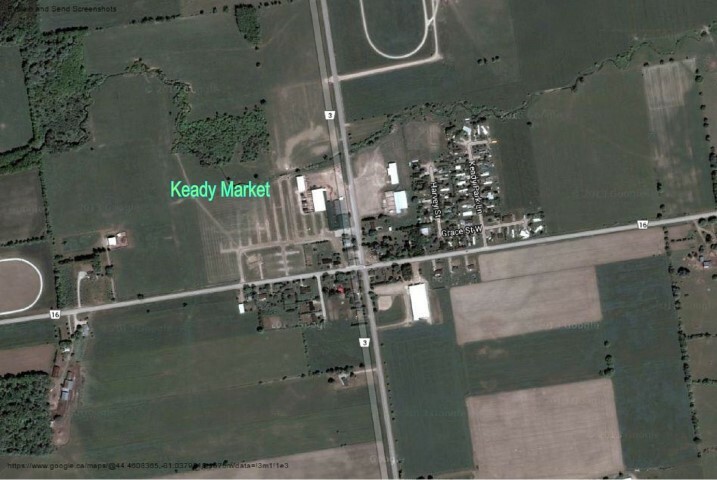 Prepared food sales are restricted at Keady Market. The cost of a (non-hydro) lot 10' x 26' is $25 (HST included) for Tuesdays until June 30th ... Starting July 1st; the cost of the lot increases to $30 for Tuesdays (HST included) and then starting September 1st; the cost returns to $25 for Tuesdays (HST included). The cost of a (hydro) lot 10' x 26' is $35 (HST included) for Tuesdays until June 30th ... Starting July 1st; the cost of the lot increases to $40 for Tuesdays (HST included) and then starting September 1st; the cost returns to $35 for Tuesdays (HST included). You should be at the market to prepare for the day between 5 AM and 7 AM. Vendor access to Market is approx. 750' (Gate 1) and 1000' (Gate 2) West of the four way stop. Attendants will be wearing orange safety vests! The Farmer's Market runs from 7 AM until approximately 2 PM. Puppies, Kittens, adolescent and mature Dog and Cat sales are FORBIDDEN at Keady Farmers' Market! Free public parking is on the West side of Grey Rd. 3 (North of the Keady Livestock buildings). Safe walk-in access from the parking area is over a bridge that brings you directly into the heart of the market. 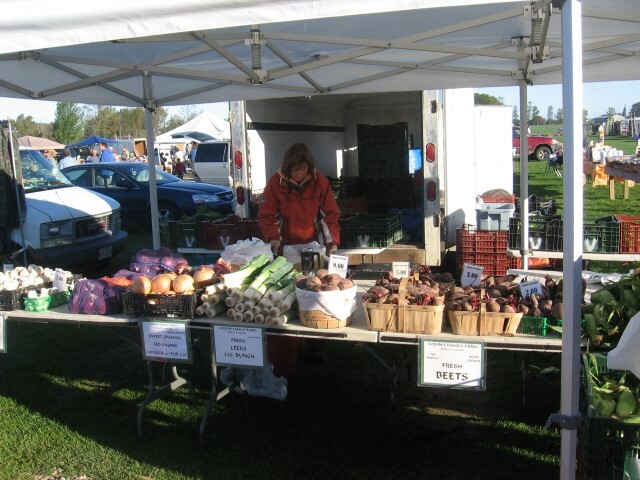 Weather permitting; The Farmer's Market remains open and active through to the Fall Season of the year.